Warrior. Mixed Media On Canvas. 101 x 198. Awakening. Mixed Media On Board. 75 x 120. Running Girl. Mixed Media On Canvas. 90 x 60. Archibald prize winner Craig Ruddy has returned to ignite our conscious minds with his latest series of empowering portraiture. In this new series entitled “Awakening Spirit”, the artist continues his tribute to the Traditional Custodians of the land. 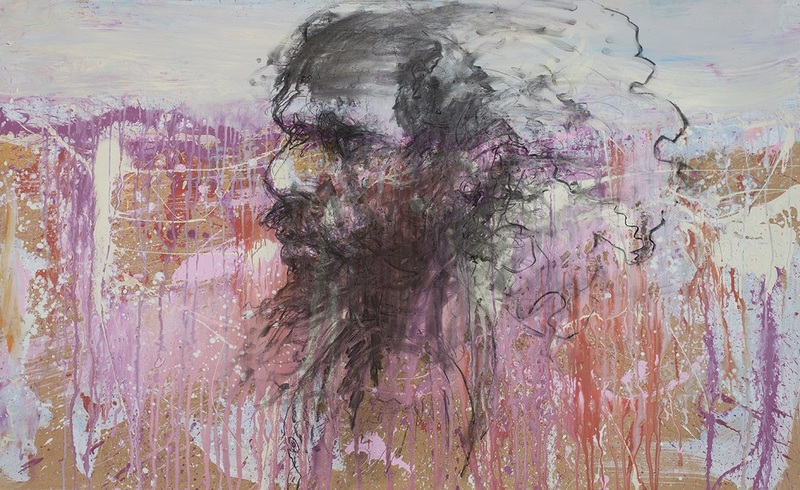 The Recognition of Australian Indigenous People and Culture is a continued theme explored by Ruddy and has permeated the narrative of his past work and exhibitions. In previous collections Ruddy has provided viewers with contemporary portraits of famous Indigenous people. His iconic portraits of David Gulpilil, Warwick Thornton and Cathy Freeman capture the success of these cultural role models that serve both as a testament and reminder to the greater community of the accomplishments made by Aboriginal Australian’s in spite of the adversity they continue to face. These depictions run as a counter narrative to the all too frequent negative portrayals in mainstream media or the otherwise invisibility of Indigenous people through lack of representation in mainstream culture. Aboriginal Australian’s have experienced a great collective trauma of loss and separation as a result of colonisation, and it is well documented that trauma remains chronic so long as social causes are not addressed. From a psychological perspective, validation in the course of and bearing witness is vital and necessary in the healing process. So what if these stories remain unacknowledged? We are compelled to address our discomfort and guilt when reflecting upon these questions. Art is a vehicle for us to bear witness and Ruddy through this work provides us an opportunity to acknowledge the Traditional Custodians and to raise and consider the questions that we may not yet have the answers to.